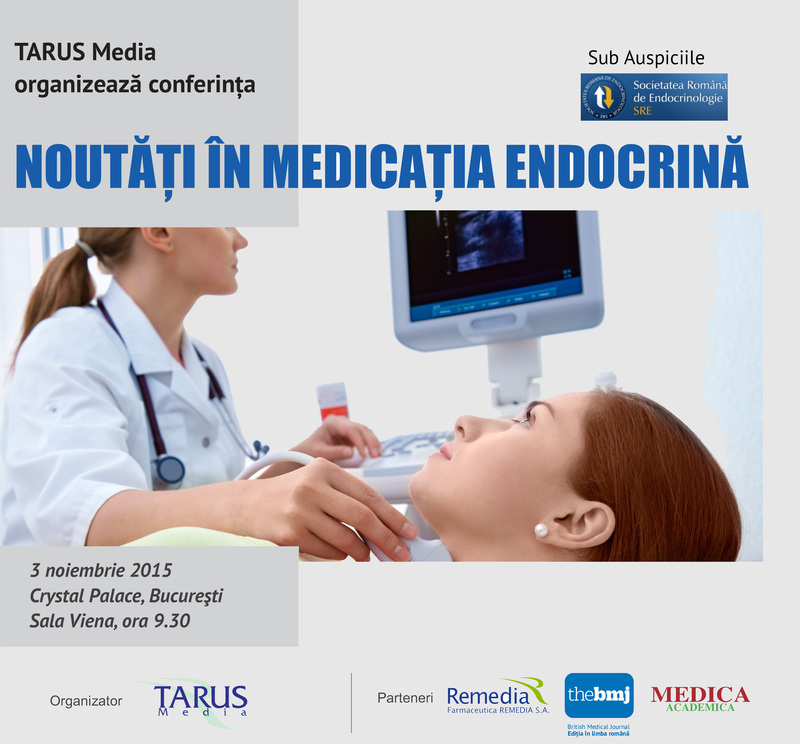 Top Specialists at Medical Conference News in Endocrine Medication organized by Tarus Media - Farmaceutica REMEDIA S.A.
TARUS Media, in partnership with Farmaceutica Remedia, organizes on 3 November 2015 in the Crystal Palace in Bucharest, medical conference in medication NEWS endocrine disorders. Teachers nationally renowned specialists with extensive experience in endocrinology will meet to bring to the attention of the audience the latest news in the field, the main themes being endocrinology oncology, hormone replacement therapy and osteoporosis. Among the personalities who will be present at this medical conference include: Prof. dr. Catalina POIANA – Institute “CI Parhon “Bucharest, Prof. dr. Voichita MOGOS – Hospital” St. Spiridon “Iasi, Prof. dr. Corin BADIU – Institute” CI Parhon “Bucharest Conf. Dr. Carmen Barbu – Hospital” Elias “Bucharest, Prof. dr. Carmen VULPOI – Hospital” St. Spiridon “Iasi. Foreword will be supported by Conf. Univ. Dr. Diana Loreta peacocks, State Counsellor at the Public Health Department will present the future of the health system in Romania based on the latest statistics from Cotroceni. Among the topics covered mention: replacement therapies, thyroid cancer, osteoporosis, thyroid nodule, innovative treatment of acromegaly and Cushing’s disease therapies with antiestrogens. The event, conducted under the aegis of the Romanian Society of Endocrinology, is credited by the College of Physicians in Romania with 15 CME and the College of Pharmacists of Romania with 28 credits EFC. 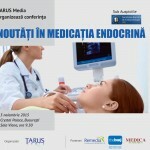 The fee is included electronic subscription to The British Medical Journal editor in Romanian and academic physicians. Those wishing to participate in this conference can call for more information at telephone number: +40 758 046 947, write an email or access the website cristina.draghescu@tarus.eu www.tarusmedia.ro.